San Diego, CA – March 14, 2013 – Today, Mike and Lisa Hinkley, co-founders of Green Flash Brewing Co. along with Brewmaster Chuck Silva attended the Annual State of the City address in Virginia Beach, VA where Mayor William Sessoms Jr. formally announced that Virginia Beach is the location for Green Flash’s 2nd brewery. After the Mayor’s speech, Green Flash hosted local press and officials for an official ground-staking ceremony on the 9-acre industrial plot located on the northwest corner of General Booth Blvd and Corporate Landing Pkwy – their new East Coast home. The 58,000 sq ft Virginia Beach facility will employ 40-plus Virginians and utilize $20 million of invested capital. From a production standpoint, the new brewery will replicate the state-of-the-art production capabilities of the Green Flash San Diego headquarters, which were commissioned in 2010 when the brewery upgraded from a smaller facility in Vista. To best duplicate the operations of their West Coast brewery, all brew house and fermentation cellar equipment will once again be manufactured by Paul Mueller Company of Springfield, Missouri. Ultimate production capacity will be 100,000 annual barrels. Plans are to break ground later this year, and to be open for business in 2015. As part of their forward-thinking strategy, Green Flash is investing in production capacity ahead of demand to provide distributors, retailers and consumers with confidence that there will be adequate supply of West Coast IPA, Hop Head Red and other favorites as the company grows in popularity. In addition to increased production capacity, the new facility will provide freight efficiencies and fresher beer for East Coast consumers. An expansive public Tasting Room, outdoor Beer Garden, retail store, extensive brewery tour program and large event space will provide customers with many opportunities to glean the great passion and commitment to quality that goes into the creation of Green Flash brews and to share in the Green Flash experience, first-hand. “The Mid-Atlantic region provided logistical advantages,” says Lisa Hinkley of Green Flash. “Virginia is a great place to do business has a developing craft beer culture, and Virginia Beach felt like home.” Like San Diego, Virginia Beach is historically a military town and is celebrated for a vibrant local beach culture. Both cities are also thriving tourist destinations – Virginia Beach draws over 5.5 million people during the peak summer season. While San Diego is known as a leading city in the craft beer movement, Virginia has a growing community of craft breweries and a developing craft beer culture. “The Virginia Beach business environment proves to be a strategic advantage for companies looking for an east coast location, states Mayor William D. Sessoms, Jr., “We are proud Green Flash chose to invest in our community. A craft brewery of this stature will be a great asset and further diversify the many attractions enjoyed by our residents and visitors alike”. 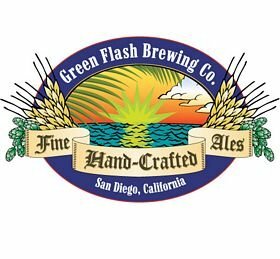 Green Flash has established a $10,000 credit with White Labs of San Diego for the Virginia Brewer’s Guild. The credit was created as a resource for Virginia’s newer breweries to engage in product testing. This important quality control step is costly for emerging breweries, but vital to their long-term success. All members of the Virginia Brewer’s Guild are welcome to begin using the credits immediately. Green Flash will also invite Virginia-based brewers the use of an in-house product laboratory they plan incorporate into the Virginia Beach brewery. About Green Flash Brewing Co.
Green Flash Brewing Co. is located in San Diego, California, and was founded in 2002 by Mike and Lisa Hinkley. Brewmaster, Chuck Silva, leads brewing operations. Green Flash is an award-winning brewer of fine, hand-crafted ales, and specializes in brewing assertive and distinctive beers, such as the nationally acclaimed West Coast I.P.A. : an award-winning beer whose wide acceptance has helped define a category. Green Flash brews ten styles of beer regularly, on draught and in bottles as well as a growing lineup of seasonal and special offerings, including several barrel-aged beers, throughout the year. Please visit the Green Flash website www.greenflashbrew.com for more information.